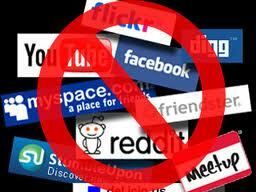 Now a days, on most of the networks web filters are installed which don't let you browse the whole web. They block websites depending on the category. The internet filters are very strong in nature. They even block all type of proxy websites which people use to access the unblocked websites. However there are many softwares which helps you to bypass such web filters and access the internet fully. Here is a whole list of softwares which you can download for free and try yourself. However, you must try each one of it as I don't know which one will work on your network. Just try these software. They are available for free download on many websites. Your network administrator might have blocked ports of some of these softwares but not all of them. Best of luck trying these softwares. I have tried Ultrasurf, Puff the magic dragon , Hotspot shield and your freedom on fortiguard web filtering and websense web filtering and they work fine. Once you install, you can access all the blocked websites.